When he talks about the first two, he talks about “scaled content” and “scaled advertising,” yet he is very much pursuing a niche content strategy married to a highly targeted, brand advertising approach. AOL is already going down this path with its collection of MediaGlow sites (which include, Engadget, TMZ, and Love.com). We’ve called this the “Toyota strategy” because it consists of creating standalone online media properties which appeal to niche audiences much like magazines used to do in the world of print media. On the advertising front, he thinks AOL jumped into the ad network game at the wrong time right as the economic downturn hit. AOL was left with too much generic ad inventory and not enough inventory appealing to brand advertisers. (Hence, the niche content/magazine-like approach). Another market he is bullish on is localized content and mapping. AOL owns Mapquest, which needs to be reinvigorated. It also just bought local news site Patch and local events listings site Going. (Armstrong was a shareholder in Patch, but didn’t accept any profits from the transaction beyond his initial investment). Local content remains a huge opportunity on the Web. I asked Armstrong how he feels about the center of attention on the Web moving away from destination sites to personalized streams of data such as what you find on Twitter and Facebook. “Real-time messaging feeds have a wide spectrum of usage,” he replied. “In some places speed is more important than depth. In others, depth is more important than speed.” He is pretty much agnostic about where people find AOL content, as long as they return to AOL to read it (and maybe click on an ad or two while they are there). At the same time, AOL is trying to leverage AIM to get into the lifestreaming game. 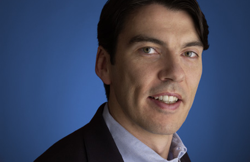 Communications (email, IM, SMS) is one of AOL’s core areas Armstrong wants to strengthen. And to the extent that he can combine personal communications with public streams, he can play there as well. Armstrong is getting AOL ready to be spun off from Time Warner in an IPO. As part of that transaction, the original thinking was that AOL’s legacy dial-up business wouldn’t be a part of that, but Armstrong has changed his mind. It is not only the roughly $1 billion in annual subscription revenues AOL still generates from the dial-up business that convinced him to keep it. That is quickly declining. But just as important is the traffic and distribution which comes from those locked-in customers. “If you were going to try to recreate the access traffic it would be very expensive to recreate,” notes Armstrong. (ComScore estimates that about 19 million of AOL’s 106 million unique U.S. visitors a month still come from AOL’s client app). When you are trying to build an advertising business, every eyeball counts.